Jigsaw Performing Arts Schools – DISCOUNT OF FEES! 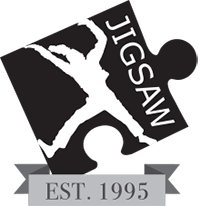 Jigsaw Performing Arts Schools was established in 1995 and runs dance, drama and singing classes for students aged 3 to 18 years. We currently run at the The Chauncy School on Saturday afternoons. Our 7 to 18 year olds take part in an hour of dance, an hour of drama and and hour of singing and work in age appropriate groups. The sessions run from 3.00pm to 6.00pm. The term starts on 30th April and runs until 16th July. We are offering all Chauncy School students a 25% discount on fees for up to a year. Normally a term would cost £280 but with this offer you would pay £210 for the term. Initially we offer all new students a two week trial which costs £60. The discount for the term will be applied after the two week trial should your child wish to continue. To book your trial please call 01992 829928 and quote CHAUNCY25. No other discount applies to this offer and it expires once this term starts. If you have any younger children who wish to try our 3 to 6 years classes we offer sibling discounts. You can read all about Jigsaw and what we offer by visiting our website www.jigsaw-arts.co.uk or please look at the attached leaflet. If you have any questions about Jigsaw or wish to book please do not hesitate to contact us. We look forward to seeing you at Jigsaw Ware soon!